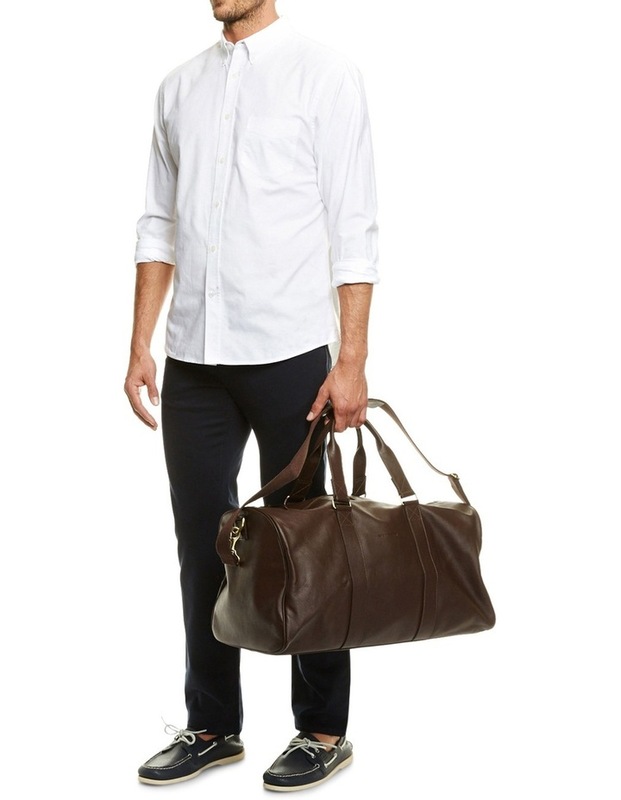 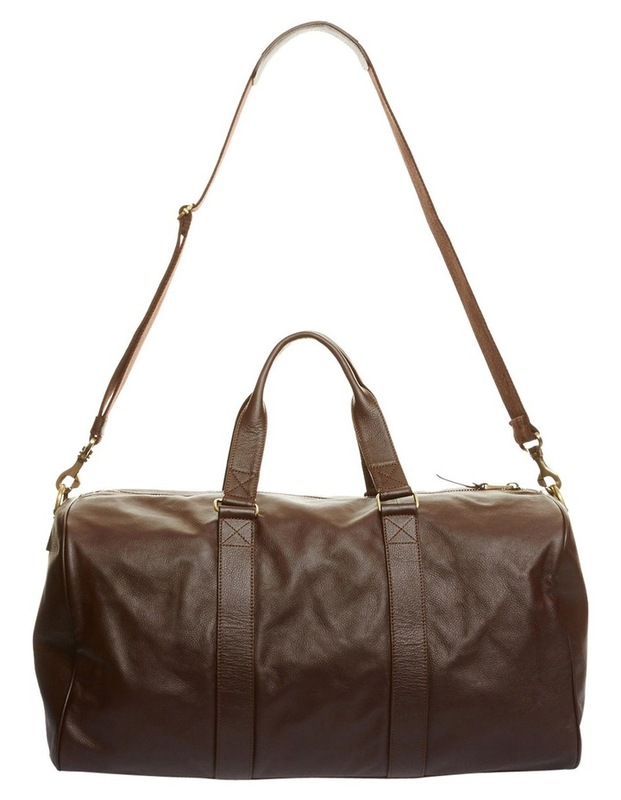 Rich grainy leather duffel bag with polished hardware. 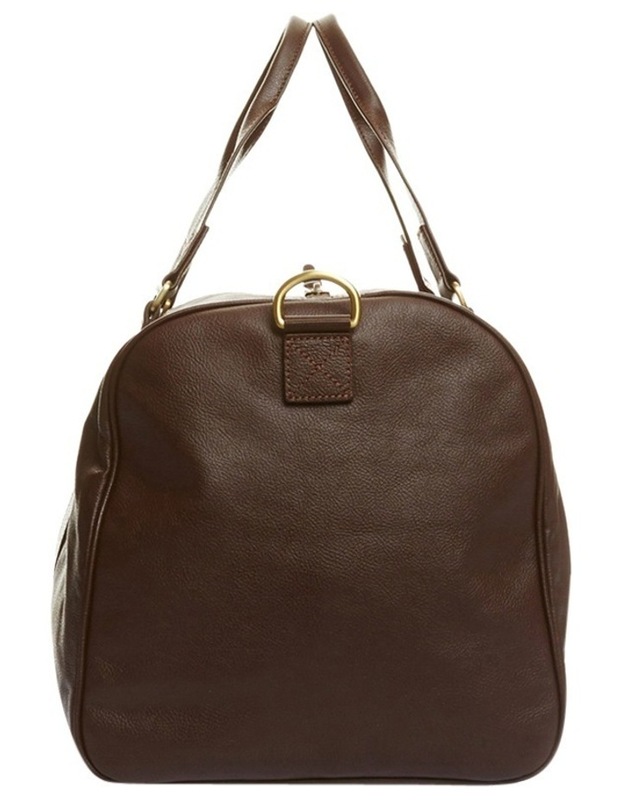 Features centre zipper opening and durable leather handles with a detachable, extendible strap. 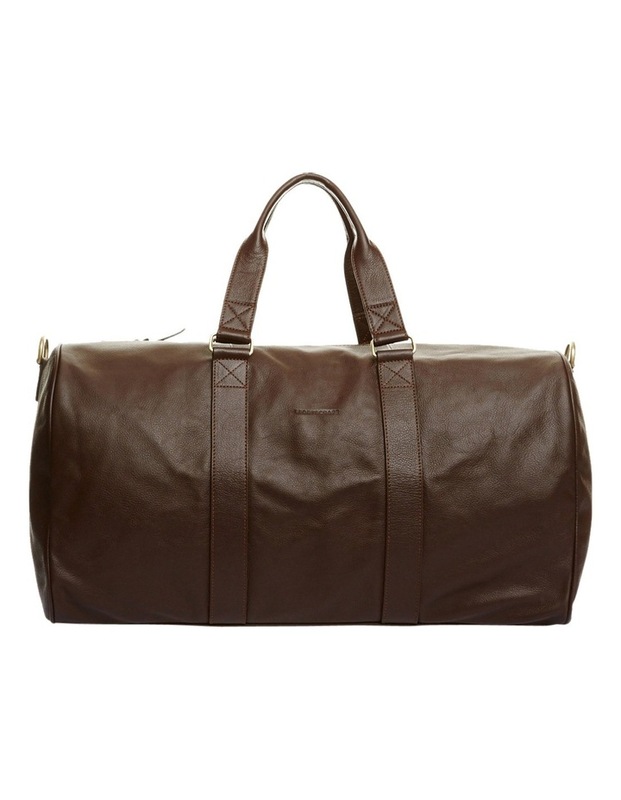 100% genuine leather, metal hardware and 100% cotton lining. 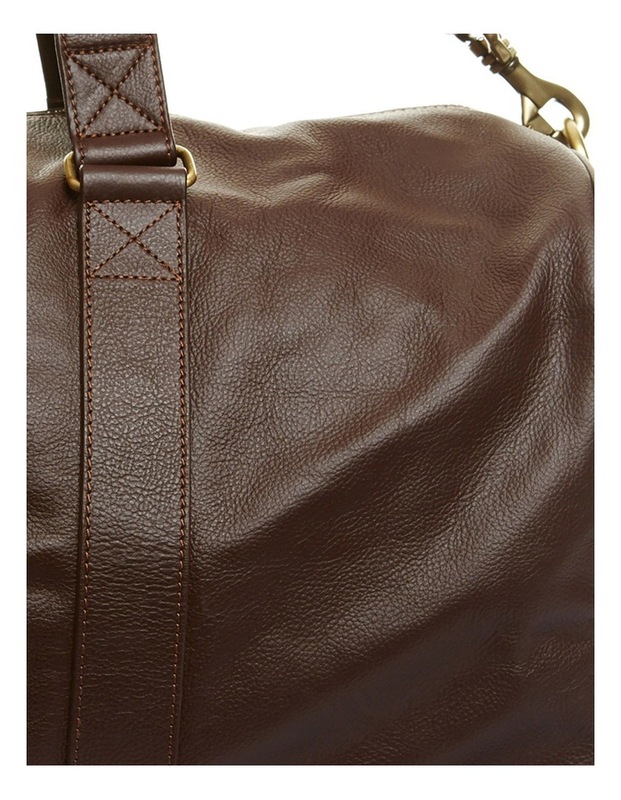 Approx dimensions: Length 52cm x Width 21cm x Height 38cm.